At its core, inbound marketing is all about analytics. Sure, creativity, content, a customer-centric focus, and enthusiasm are all essential to inbound and what truly defines it. Yet, another important facet is discovering what works, what isn’t working, and what can be improved in order to maximize results. Analytics drive every inbound action you take and move you toward success for both your company and your customers. Of course, your website is the cornerstone on how you market your business, so analytics on how it performs take on even greater importance. Which pages are people visiting the most? Which pages are converting? Many great tools are available to help you get a better look at how well your website is performing, as well as what competitors are doing with their sites. We’ve detailed eight of these tools in this post; use the knowledge gained from these resources to improve your website. 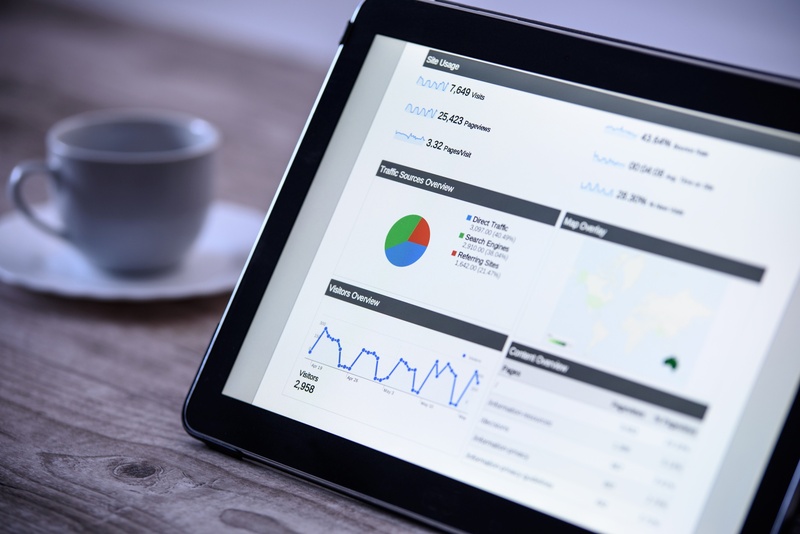 What Are Web Analytics Tools, and Why Should You Use Them? Before getting into the various tools available, coming to a basic understanding of website analytics is important. Simply put, these tools offer insights into how your site is performing. Analytics measure traffic, page views, clicks, and so much more. These resources collect and analyze your data, as well as your competitors’ data. 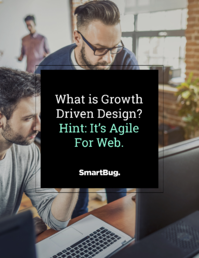 With this information, you can better understand your customers and apply that knowledge to improve your site for a greater online experience and increased conversions. Insights into how your site is performing and how your customers are behaving help determine what parts of your site work and what parts need improvement. These tools should be used to track keywords that drive traffic to your site, your social channels, page performance, and trends over time. Facebook Page Insights: This is a free, built-in feature available for your company’s Facebook page. It can be used to see whom your posts are reaching, who’s liking your posts, and where your visitors are coming from. You can also see data on how your page’s performance is trending over time and how visitors are engaging with your content. With this information, you’re able to optimize your social presence in order to increase likes, followers, and shares. Twitter Analytics: Another free social tracking tool, and you don’t even need to be advertising on Twitter to use it. Use this to learn more about who your followers are, where they are coming from, and what topics they find interesting. This tool measures engagement to show you which tweets are reaching the most people and how to make your content more successful. Optimizely: This platform provides companies with a simple solution to improving website pages through A/B testing. With this tool, you can easily make changes to a page on your site and test it to see if your new version is better than the old page. Use this to figure out how to make a successful website and achieve performance goals. The best part about this tool is that you don’t need any coding experience. Google Content Experiments: This is another free tool from Google that helps you test and choose between different versions of your website or landing pages. Find out which parts of your page or content generate the most clicks or conversions. This tool then measures how each page performed and shows you which is the most effective. Once you’ve found your highest-converting page, you can publish it to be live for all visitors. Moz: This SEO toolset is perfect for tracking and improving your search engine rankings, as well as tracking your competitors’ rankings. With Moz, you can track keywords by campaign or location, see how you rank on both desktop and mobile devices, find out who your top competitors are, and much more—all in one package. This is a great tool that can help optimize your site and improve your rank. SEMrush: This is another great tool to compare your performance with your competition. Perfect for those companies that advertise on Google or other search engines. This tool shows how you rank among your competitors and even lets you see information such as copy, keywords, and budget. Along with these features and tools, you’ll gain valuable insight and recommendations that will help you improve your website’s performance, ranking, and advertising. Google Analytics: One of the best and preferred analytics tools available—and the best part is, it’s free. Google Analytics tracks web traffic to your site and collects data, such as keywords, that can be used to help improve your visitors’ online experience. Find out which keywords are bringing in the most visitors to your site. Get reports and information about your visitors and your conversions. Figure out where you might be losing visitors and why so that you can improve those pages and keep them from leaving. Crazy Egg: Want to learn more about how your visitors navigate your site? This tool shows you just that. With easy-to-follow heatmaps, overlays, and other visualizations, you can see exactly what your customers are doing on your page. Crazy Egg shows you where people are and are not clicking, how far down the page they’re scrolling, their mouse movements, and more. This is a great tool for helping improve your site’s design and content by seeing what your visitors find most interesting or useful. You’ll get information on where people are coming from and which areas of your site are catching their attention. Databox: A favorite of the SmartBug team, Databox is an excellent way to extend your reporting abilities from HubSpot and many of the other tools we've listed in this post. Databox's dashboards, built-in goal tracking and comparison features, and ability to integrate multiple data sources make it a no-brainer for companies who want to keep a close eye on performance. Undoubtedly, website analytics can provide solid insight into how well your inbound strategies are performing. Many options besides these eight are out there, both free and paid versions. Whatever tools you decide upon, the key is acting upon the results. If you know something on your website isn’t working right, test alternatives and try something different. Figure out what you want to focus on and what you should be tracking, select the right analytics, and let the data guide your success. What website analytics tools have you tried? Which would you recommend? 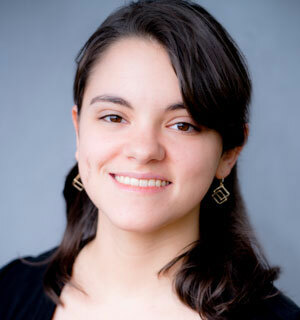 Tessa Flores is a front-end developer for SmartBug Media. Along with website design and development, she also has experience in inbound marketing. Read more articles by Tessa Flores.